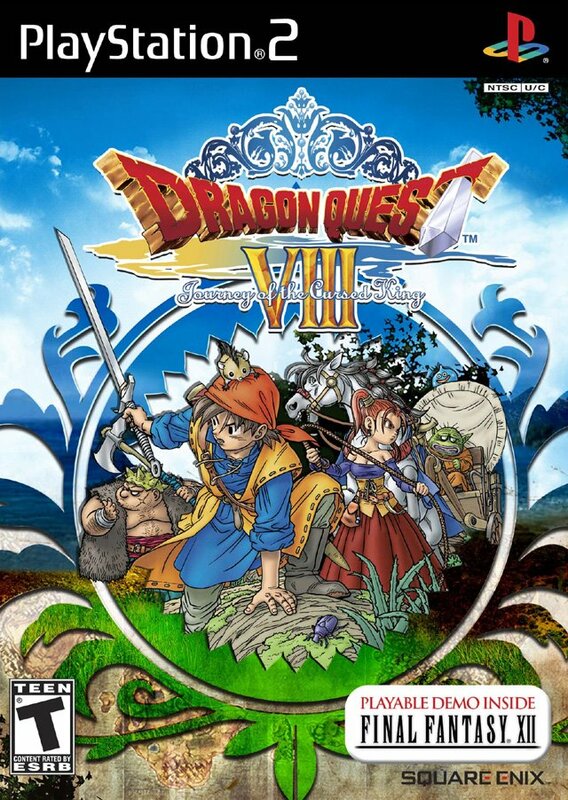 There’s a good chance that by now you’ve already heard of Dragon Quest VIII: Journey of the Cursed King, which was brought to us by Level-5 and Square Enix back in November 2005. In fact, there’s a good chance that you’ve played it. And if, by chance, you haven’t experienced it yet... it’s certainly not too late. My relationship with this game began shortly after the game was released, and lasted for a good few months before I got prohibitively busy. The game sat, unloved and unplayed, on my shelf for nearly 3 years. When I finally restarted the game a few months ago, I quickly remembered why I enjoyed it so much all those years ago, and the love affair began all over again. You begin the game as a former palace guard in pursuit of an evil magician named Dhoulmagus. Dhoulmagus has stolen a legendary scepter from the Kingdom of Trodain and subsequently cursed King Trode and Princess Medea, transfiguring them into a toad monster and a horse. Along the way you save the life of a thief named Yangus, who gives up his life of crime to assist you in your quest. Eventually, you gain the allegiance of a magician named Jessica and a wayward templar knight named Angelo. Each character was designed by Akira Toriyama (of Dragon Ball fame), beautifully rendered in cel-shaded 3D, and voiced in charmingly over-the-top fashion. During the course of your journey, the party encounters hundreds, if not thousands, of battles that play out in the turn-by-turn style that you’d expect from a classic Dragon Quest adventure. You’ll battle several classic Dragon Quest monsters as well as dozens of new, equally silly enemies. The fights are simple, but possess a number of strategic options that add depth to the gameplay and keep things fresh. Apart from the standard fight, magic, and defend commands, you can use unique character abilities and even psyche-up to store tension, culminating in some terrific attacks. And with each level you gain stat points to apply to any of 5 proficiencies; this adds an enjoyable yet accessible level of customization to the characters in your party (a welcome contrast to Dragon Quest’s more convoluted Final Fantasy cousins). The real star of Dragon Quest VIII is the massively expansive world in which it takes place. The sprawling landscapes are stunning to look at and yet varied enough to be interesting. As you travel the countryside looking for hidden treasure chests, day will turn to night and back again, conveying a momentous sense of scale. You’ll even run into (or be chased by) infamous monsters that you will eventually learn to capture and set loose in Morrie’s Monster Arena to win big prizes. Tireless explorers, of course, are reward with the discovery of powerful weapons and armor. Dragon Quest VIII’s story is paced well enough to keep the game from becoming too much of a grind-fest. Just when you feel you’re ready to advance the plot, you’ll meet someone new who is need of help, and the characters and dialogue are crafted well enough that you actually feel compelled to assist them. Yet, there are few enough characters that you can empathize with each one of them. Their stories form a focused narrative that keeps you coming back for between 70 and 100 hours. Dragon Quest VIII: Journey of the Cursed King is a game that some would fault for not trying anything new or innovating the genre. However, its Dragon Quest’s risk aversion that proves to be its greatest strength. 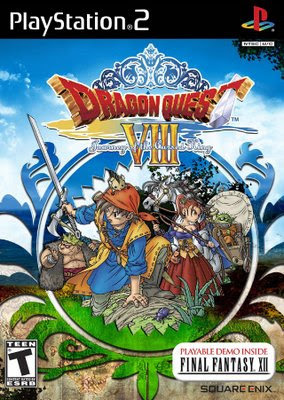 It allowed Level-5 to marry the structural integrity of time-tested JRPG conventions with the excellent presentation afforded by the PlayStation 2, while staying true to the stylistic sensibilities of the Dragon Quest series. And so I have it to thank for my reinvigorated love of RPGs.